Statute Barred- This means the plaintiff claim shall be filed within a certain period from the date of action, transaction, default of payment and date of breach of contract, etc. Jurisdiction- The Plaintiff Claim shall be filed at the geographical jurisdiction where the action took place. The Plaintiff Claim shall be filed where the Defendants live. Cause of action- The Plaintiff shall know the Cause of action, such as Breach of contract, Unjust enrichment, Unpaid wages, Unpaid account and Misrepresentation, etc. The Pleading must state the facts about the case in chronological order. The Plaintiff Claim must be clearly stating the demands of the Plaintiff, such as Damage claimed. The Plaintiff shall file the claim and serve the claim on the Defendant(s) within six months from the date issued. 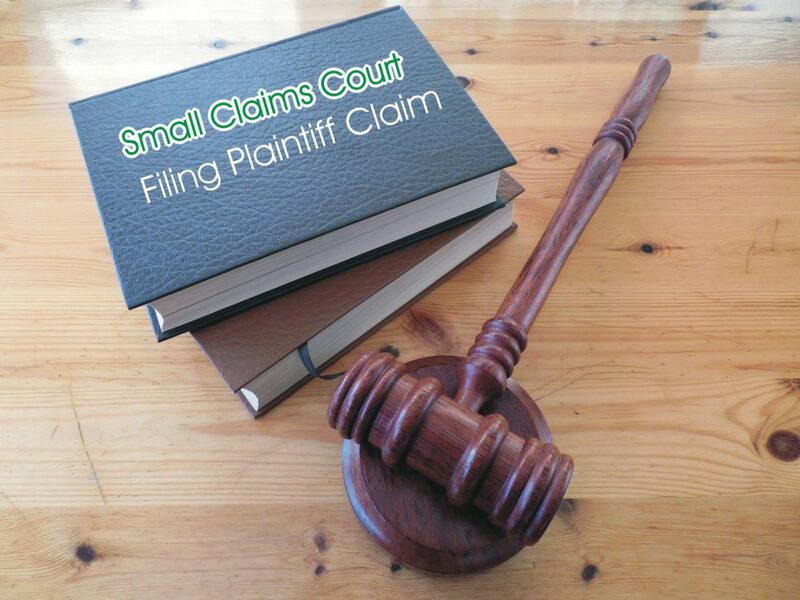 The Plaintiff shall execute the service as stipulated in the rules of the Small Claims Court. The Plaintiff shall file an Affidavit of Service. Should the Defendant(s) fail to serve and file the Defence within twenty days of the service? The Plaintiff may file noting in default.